Home Cycling Type Pedalling pilgrimages fit for the bucket list! 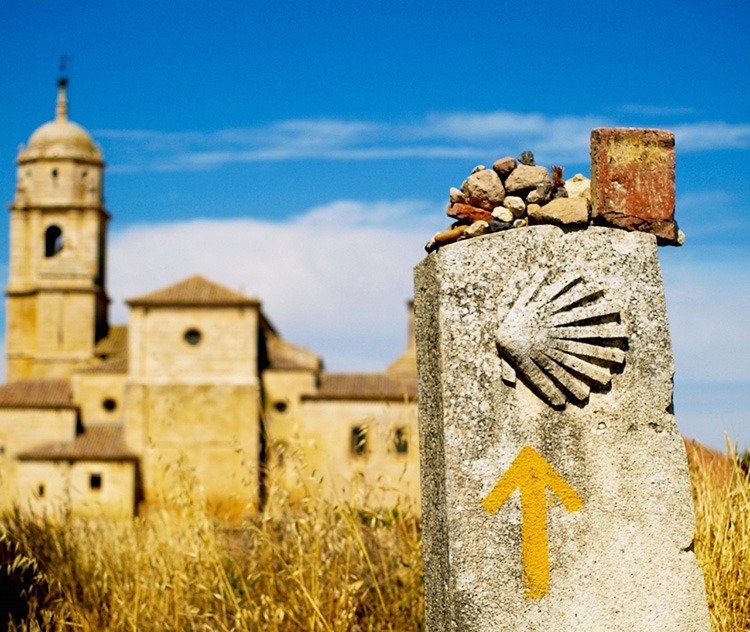 Trip highlight: The Camino’s popularity is evident by the number of pilgrims walking the trail. This, combined with the almost constant Camino arrows counting down the mileage to Santiago city, adds an extra special dimension to the journey. A note on the cycling: Expect a route packed full of surprises, from a challenging mountain pass, to peaceful valleys and fairytale-like woodland trails. Top tip: Use the phrase, buen camino when passing fellow pigrims en route – it’s a great ice breaker. Watch the video | Read Fran’s full review: Buen Camino! Trip highlight: Welcome to Europe’s historical treasure trove! Whether exploring ancient amphitheatres or winding through medieval streets (not to mention the final ride into St Peter’s Square) the ancient wonders en route cannot fail to impress. A note on the cycling: Idyllic landscapes make up for a few cheeky climbs along the way. Expect to be gliding past plenty of cypress tree-lined trails and endless fields of golden corn. Top tip: Don’t be afraid to try the local dishes, this fresh food is delicious and just as good as the pizza. Watch the video | Read Fran’s full review: Top 10 highlights. For me the pilgrim package is hard to beat and both holidays featured above have provided rewarding adventures that will be hard to beat. Time to get them on your bucket list!